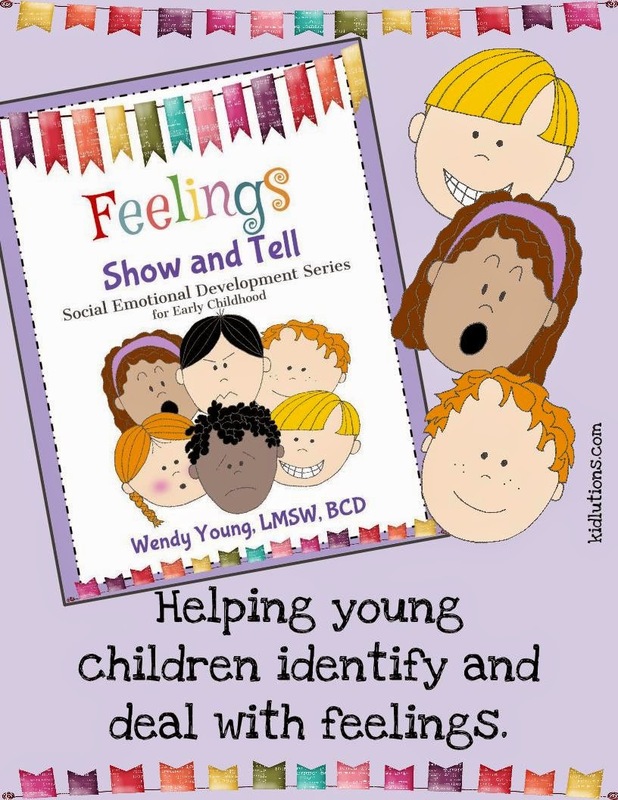 Helping kids learn how to identify and deal with feelings is an important step in making sure they are ready to face the world, engage in friendships, get along with others and solve social problems. More yet, these are all prerequisites to better academic performance. Seems simple enough, right? Right! And here at Kidlutions, there is nothing we love more than helping folks around the world do it all in a fun and memorable way. Whether you use it at home, in a classroom, with a church or scouting group or in your therapy practice, you'll adore the creative activities. 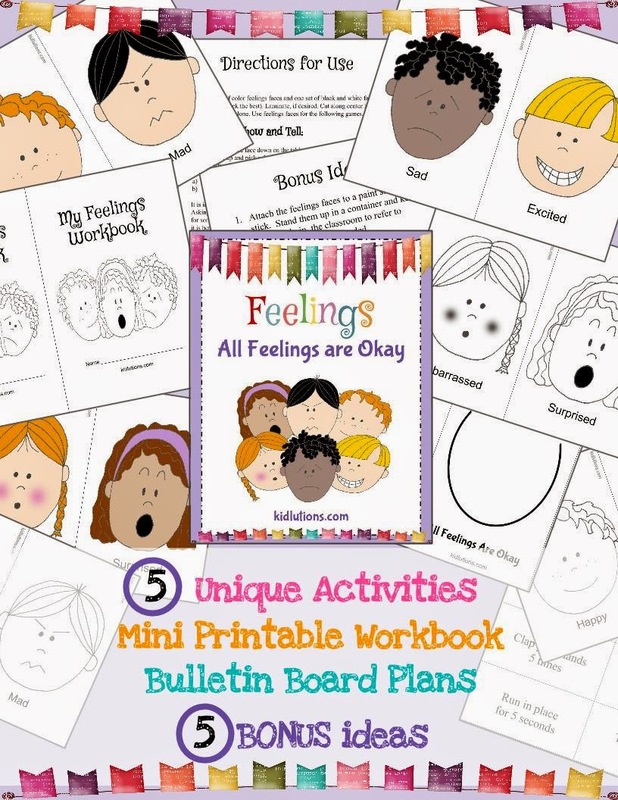 This resource has page after page of innovative ways to help kids learn how to identify and deal with feelings! You'll use these activities again and again. 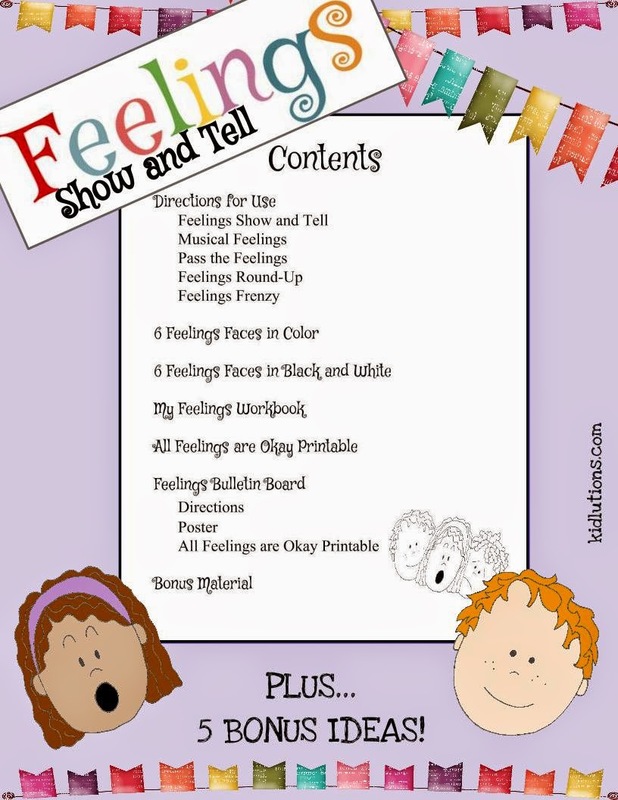 This resource offers ideas to provide hours of extended play to help youngsters grade Pre-K through 2nd grade learn to identify feelings, and deal with them. The adorable little kiddo faces, coupled with the innovative activities make this resource a winner! You'll use these ideas over and over again, because feelings can change, just like the weather. Kids won't tire of these activities, because you can expand them in a number of ways (focusing on just one activity at a time, or covering several of them at once).